I am knitting Rosebud by Jared Flood. Cruising right along.... 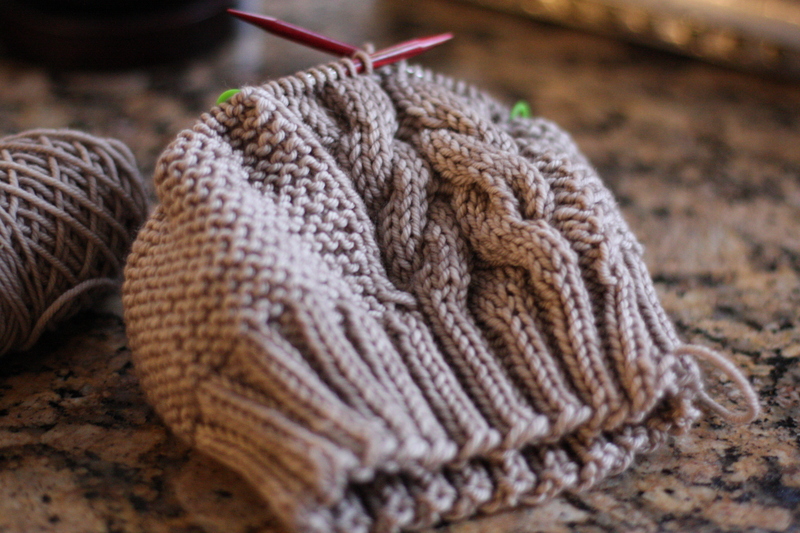 I do not like the cable that is in the original hat, so I just made 2 smaller cables which is not as chunky. I have been picking out some other patterns and I hope to finish another hat by Monday! How are yours coming? There is plenty of time to begin! Send us your updates. You can also check out some of my options for the next hat on my Ravelry favorites page. Oh wow, this looks so warm and cozy, gorgeous yarn color and pattern!! I have changed my mind for the KAL and am busy with a Wurm! Looks awesome in that yarn! Almost done with my first hat. Also, I really like the Ski Hat you have in your favorites. Especially in the white! That is a nice one you are working on too!